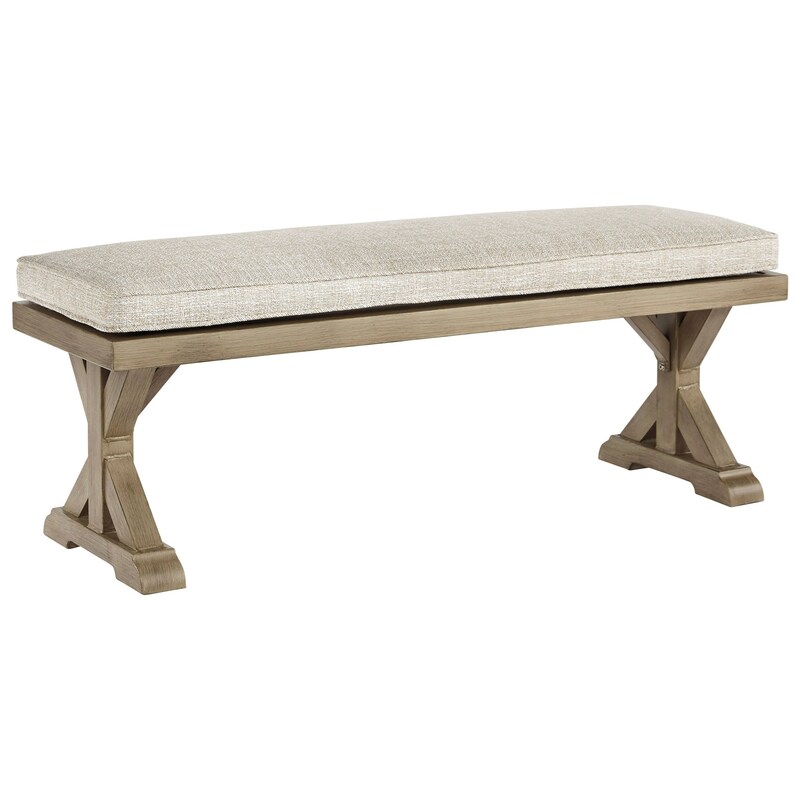 Boasting a subtle farmhouse vibe, this cushioned bench with strikingly designed double pedestals is great for indoor or outdoor living. The Beachcroft Double Pedestal Bench with Cushion by Signature Design by Ashley at Miskelly Furniture in the Jackson, Pearl, Madison, Ridgeland, Flowood Mississippi area. Product availability may vary. Contact us for the most current availability on this product.